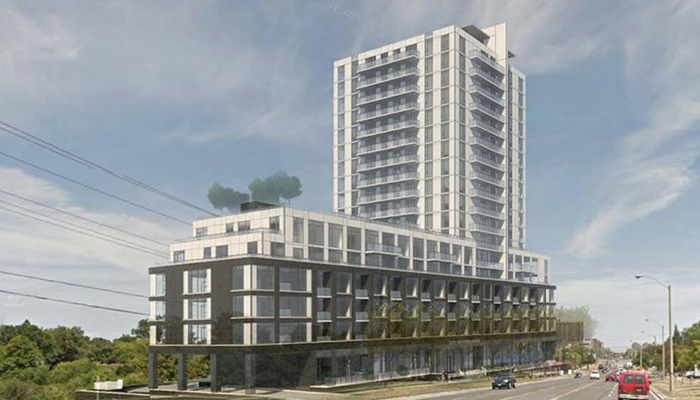 It’s a proposed pre-construction residential high-rise tower coming soon to the Sheppard Ave, E and Pharmacy Avenue area, situated in the Tam O’Shanter-Sullivan neighbourhood of Scarborough. Rising 18 storeys atop an elongated 6 storey podium with 234 spacious units. including 6 two-storey townhouse assemblage. Each of the integrated townhouses will have individual entrances and walkways connecting directly onto the Sheppard Avenue’s sidewalk and each encompassing a raised outdoor front patio area. The unit mix to the the building will consist of approximately 4 bachelor suites, 142 one bedroom units-some with den and 88 two-bedroom dwellings-a few with an accompanying den as well, all housing an expansive private balcony or terrace. The developers behind this project is Quadcam Development Group Incorporated along with KFA Architects and Planners as the designers. The site is located on the north side of Sheppard Avenue East, approximately 350 metres west of Warden Avenue. The estimated completion date is slated for 2021. The original thought process for the design was to display an aggregate of red brick on the podium, with a precast concrete element and green tinted glass as the project's surface. That has for some reason, been revised with a charcoal brick dominating the podium, off-white spandrel glass, with pre-completed aluminium detailing and clear glass sheathing the unit windows. Retaining walls have also been altered from the original concrete to charcoal brick to fit the rest of the building's shading scheme. These enchanting luxury suites incorporate open concept formats, with 9' foot ceiling heights, floor-to-ceiling windows, elegant master bedrooms, with an adjoining ensuite and a sizeable wardrobe closet. Unit sizes at the East 3220 Condos will range from approximately 450-sq-ft., to 1047-sq-ft. 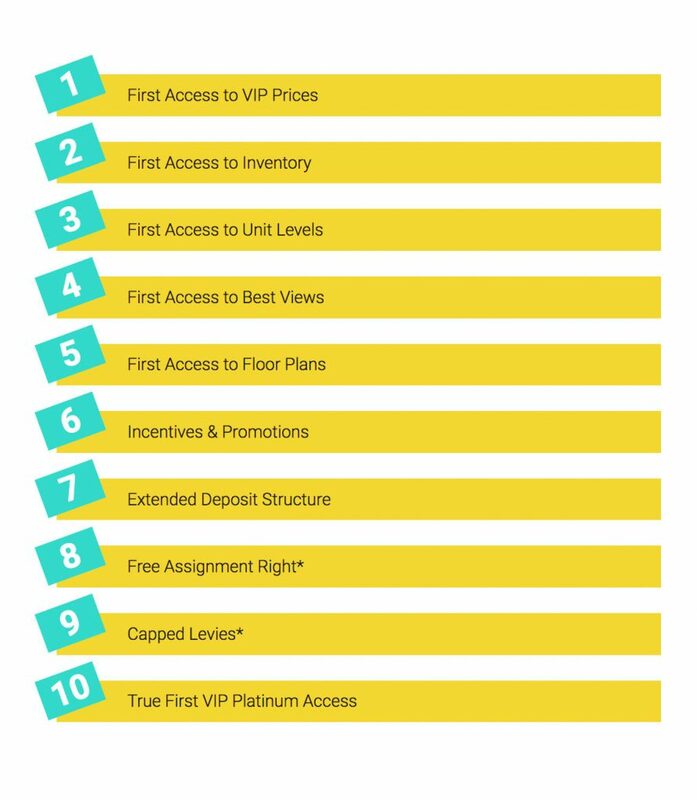 Sales for available units will begin from the Mid $200,000's. The development proposes an appropriate level of intensification on Sheppard Avenue East which will benefit from an improved level of transit service once the (LRT), Sheppard East Light Rail Transit is in operation. An LRT stop is proposed in close proximity to the development, making commuting a breeze. A total of 460 square metres of indoor amenity space is will also be available. This remarkable condominium will offer a variety of well-appointed amenities and conveniences, which will satiate any urban dwellers’ discerning taste. 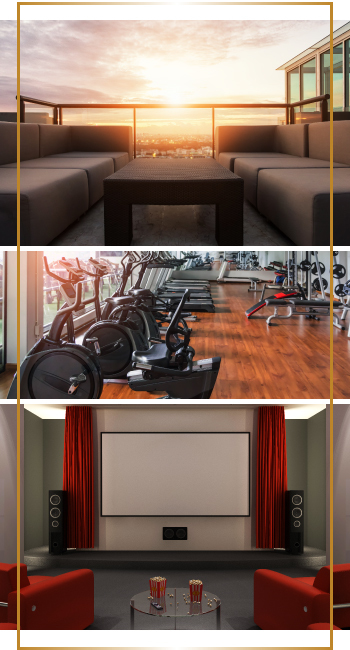 They include a dedicated, welcoming chic lounging area in a fully furnished lobby - accompanied by a 24/7 concierge, a spacious party room with a full catering kitchen to entertain family and friends, fitness centre consisting of state-of-the-art equipment, a spa, a multi-functional meeting room, children’s play area, a guest suite for any of your visitors wanting to spend the night, a library where readers will get lost in a story, and a rooftop terrace oasis. There is no retail or other commercial tenancy intended for this project, therefore the proposed main lobby and the private indoor amenity zone on the ground floor should serve to enliven the street and have the capacity to offer pedestrian interest in the absence of grade-associated retail space. The outdoor amenity area is proposed on the roof of the 6-storey podium, in conjunction with a required green roof. The current plans suggests a raised pool, surrounding deck area, ample seating with bbq stations for residents’ use and landscaped planters. Each of the townhome units will have a private patio as well. In addition, there will be three levels of underground parking that is expected with vehicular access directly from Sheppard Avenue East. A total of 261 parking spaces will be provided, where 226 slots will be dedicated to residents and 35 for visitors. There will be no surface parking available. As for bicycle parking slots, they too will be made available. There are an abundance community conveniences that serves this soon to be bustling, spirited neighbourhood. 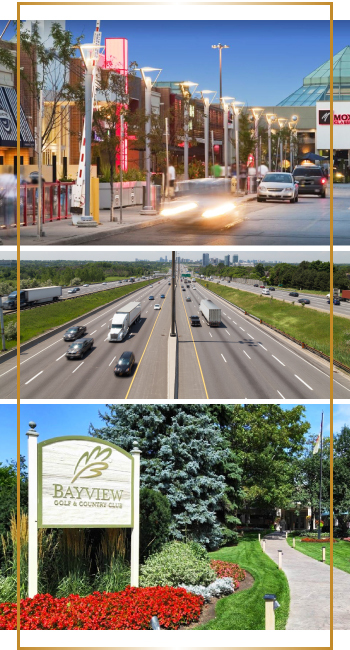 Residents have the option from many schools, restaurants, cafes, grocery stores, banks, a library a few blocks away, plazas, entertainment facilities, the newly built Parkway Forest YMCA Centre and many other professional services which are all closeby. There are also a plethora of nearby green spaces and parks that include, Wishing Well Park, Vandenburg Park, Bridlewood Park and North Bridlewood Park. Furthermore, you have two prominent and trendy landmark lifestyle destinations, which are also within close proximity consisting of many shops and services. Them being, Fairview Mall and Scarborough Town Centre. This is the epitome of relief and convenience, having all life’s wants, needs and desires at your disposal. Making it a great choice for many families and single professionals alike. Currently East 3220 Condos has a walkscore of 73/100 and a transit score of 69/100. However in the near future this rating will improve due to the implementation of the new Sheppard East LRT, (Toronto Light Rail Transit). It is part of the regional transit plan for the Greater Toronto Area, which is overseen by Metrolinx. The Sheppard East LRT is part of this plan and it has been backed by both City Council and Metrolinx. The LRT line is expected to stretch from Don Mills Station to Conlins Road in Scarborough and is anticipated to be completed by 2021. An LRT stop is scheduled at Palmdale Drive which is just a block east of the site. This would increase efficient, eco-friendly transit options for its present and new residents. TTC options like the 167A Pharmacy North, 85 Sheppard East & 190 Rocket buses are minutes away, which all connects to the subway line. Hence making the commute in and out of the city a breeze, transporting you downtown in a mere 30 minutes. 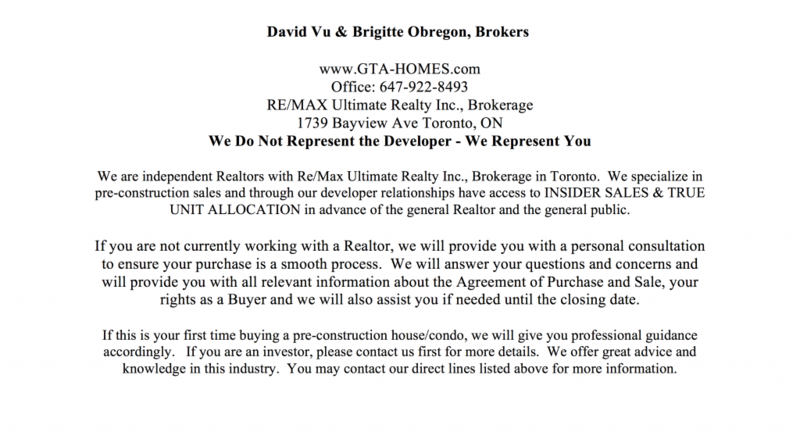 This is a superior location for the professional who works in the core but desires a much quieter retreat to return home to, while still having convenient right of entry to everything Toronto has to offer. Already a booming employment region, traits like this can set the fashion for more upscale workplace spaces, creating greater jobs and a desire for newer companies to set up shop in the neighbourhood. The city is anticipating this district to be a major growth center in the next few years, reassuring new opportunities to live, shop, work and play in a pocket that’s well-served by transit and community facilities. Quadcam has been dedicated to creating affordable high quality condominium residences that are attuned to the needs of it surrounding community and its residents. They understand that in order to succeed in real estate business, it’s important to recruit industry leaders with a proven track record, to allow the company to stay deft and progressive, which puts them in an advantageous position to evolve with the ever-changing challenges of the construction industry. They believe in building quality homes that are viable and economical and they do their best to pay close attention to their clients’ peace of mind-with the vision to acquire and deliver strategic residential lands. 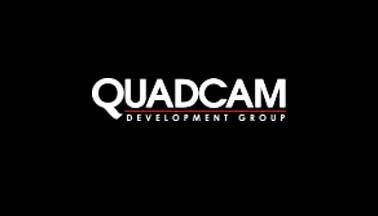 With long-standing values, integrity, innovation, social connection and consequential urban way of life; Quadcam plays a pivotal influence in Toronto's current condominium market and offer desirable addresses to call home. They continue to raise the standard for superior designs and long-term value with projects that exude character and charm.